Steeped in history, The Chequers Inn at Wooburn is a 3 silver star, 17th century coaching-inn full of charm and style. It is idyllically tucked away in the beautiful Chilterns and is only 24 miles outside of London. The hotel is close to both High Wycombe and Beaconsfield and is also ideally situated near the Thameside towns of Windsor, Henley and Marlow. 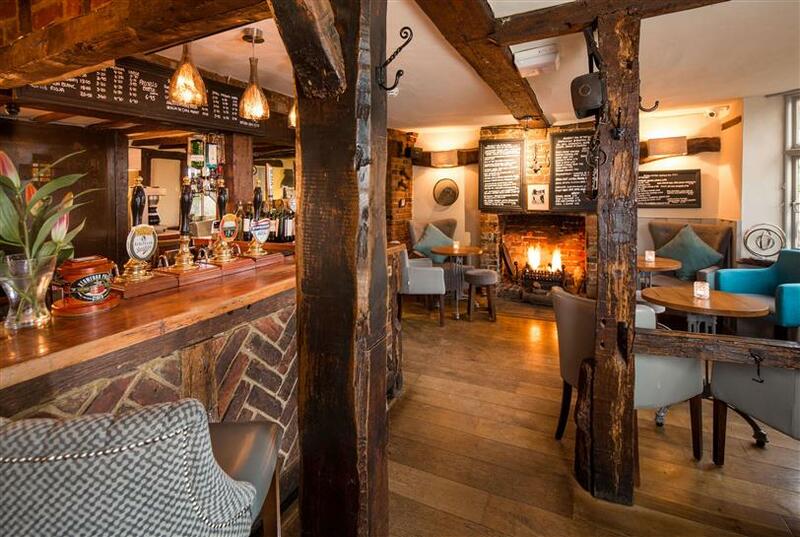 With its oak beams and flagstone floors, The Chequers Inn Hotel and Restaurant is a comfortable blend of old and new, and has been owned and run by the same family for over 40 years ensuring a friendly, relaxed and welcoming atmosphere. The 3 silver star Chequers Inn Hotel and Restaurant has 29 beautiful bedrooms, each retaining the charm of a 17th century coaching inn. They are designed using modern furnishings which still complement the charm of the surrounding countryside. For Honeymoons and special occasions, we have a romantic room with a beautiful four poster bed, or in our new development, we have spacious Junior Suites or Executive Suites for an extra special stay. 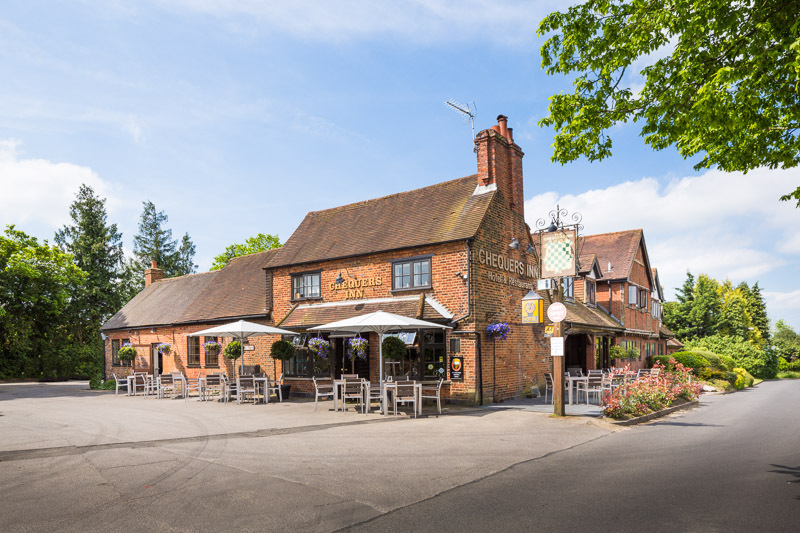 Situation near the business hubs of Beaconsfield, Bourne End and Marlow, The Chequers Inn can also provide a more comfortable stay for visiting business colleagues. 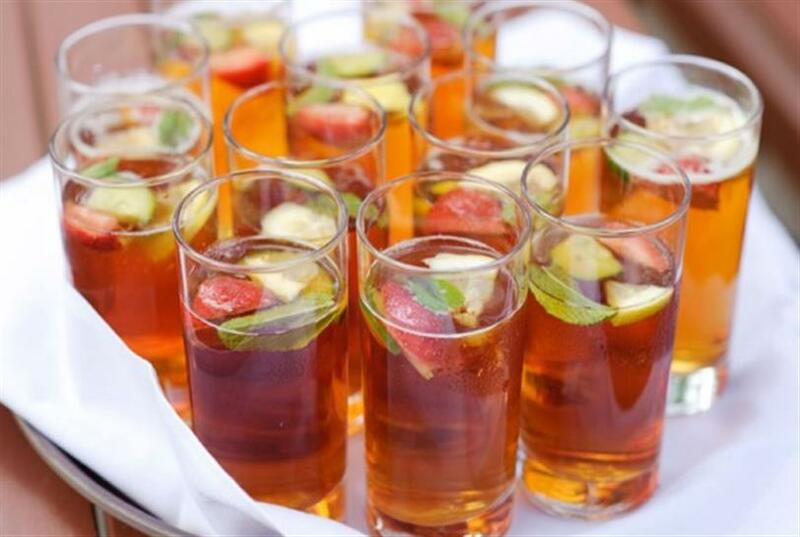 The Chequers Inn Hotel and Restaurant is perfect for all occasions. The restaurant light, bright and spacious restaurant has a modern feel whilst the bar area still retains its original charm with oak beams, flagstone floors and open fires. You can choose to eat in the cosy bar, lounge area or the brasserie style restaurant – with the same menu available throughout. On warmer days you can enjoy food on our large patio, which catches the sun late into the afternoon. We serve everything from comfort food to more sophisticated dishes, along with extensive fish and vegetarian options. Every aspect of the menu has been developed to keep everyone happy from relaxed lunches to celebration dinners. 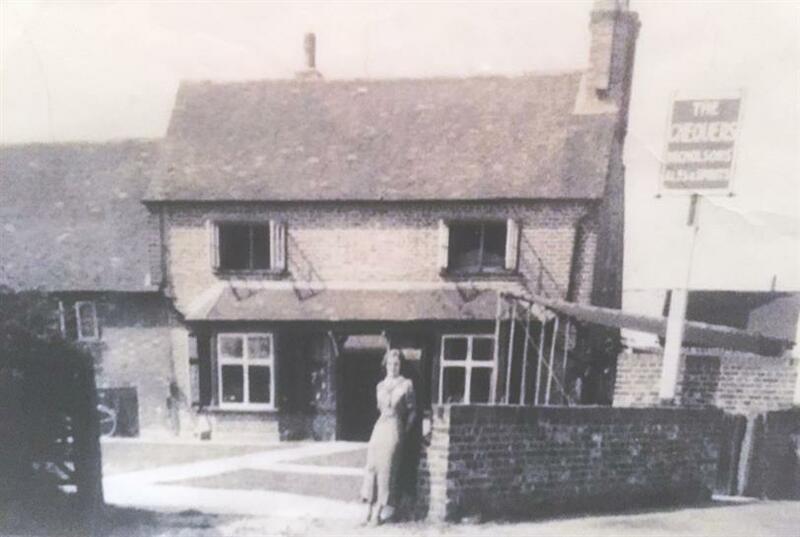 Our reputation is such that diners travel to The Chequers Inn not only from the neighbouring towns of Beaconsfield and Marlow, but from further afield just for lunch. Whether you are a planning a sales presentation, AGM, training day or company board meeting, our bright and airy conference suite can accommodate up to 50 people and is easily adapted to suit your requirements. 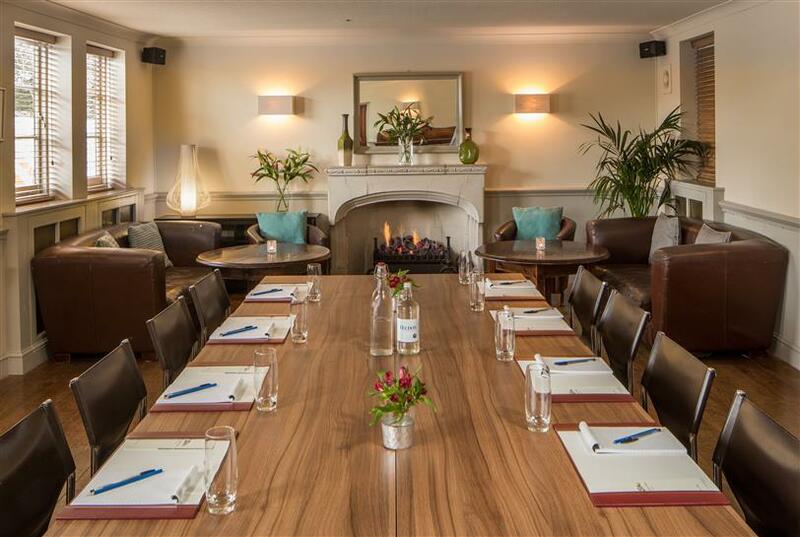 We are located near to Beaconsfield, Marlow and Bourne End, making The Chequers Inn an ideal away day venue from your office. Equipment can be hired on your behalf, and refreshments including morning coffee, lunch, afternoon tea, can be tailored to suit your needs. 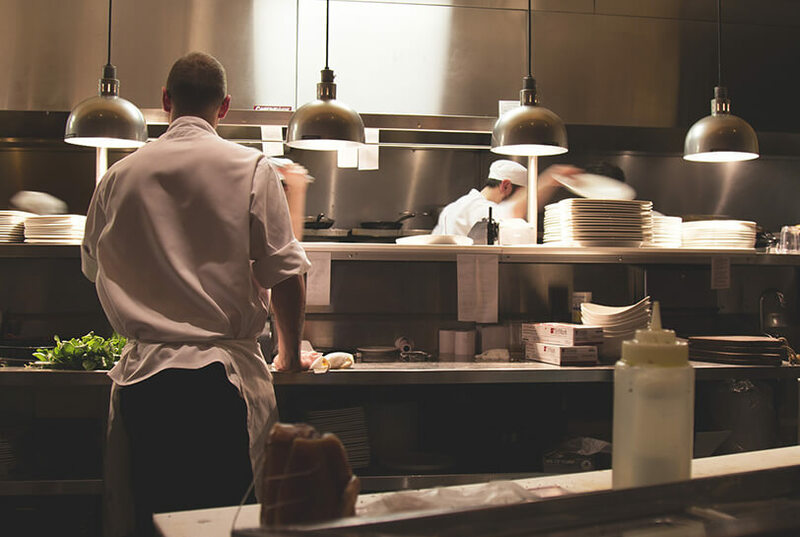 Whatever you require, from a quick tasty lunch to a full carved buffet, can be arranged to make sure your day goes smoothly and productively. Looking for an original gift? Get your loved ones or friends some vouchers from The Chequers Inn, Wooburn. Available in a variety of denominations, they can be redeemed against meals in the restaurant or bar, a hotel stay or afternoon tea. 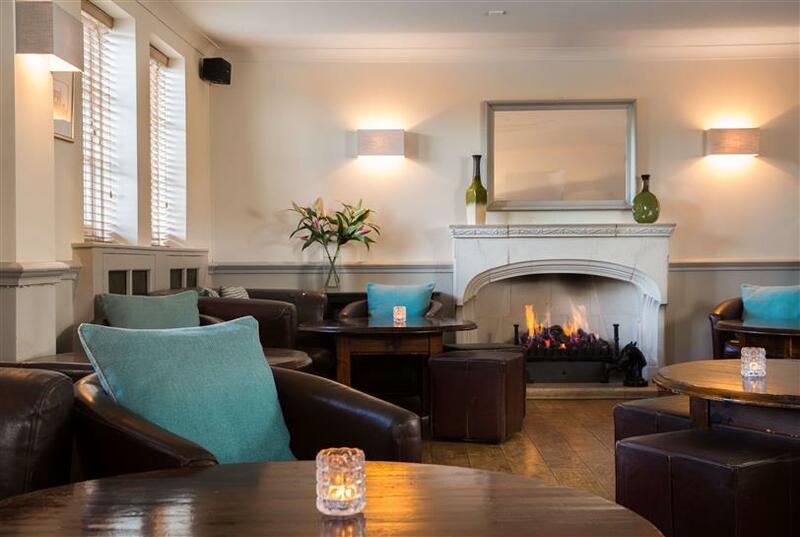 With our proximity to London, Beaconsfield and Marlow, yet views over the countryside, The Chequers Inn Hotel and Restaurant is the ideal location for Wedding Receptions, Private Dinners and Parties. Our function room can cater for up to 40 guests for a sit down meal, and up to 80 for a buffet. We also have beautifully decorated hotel bedrooms which are perfect if your guests wish to stay over. 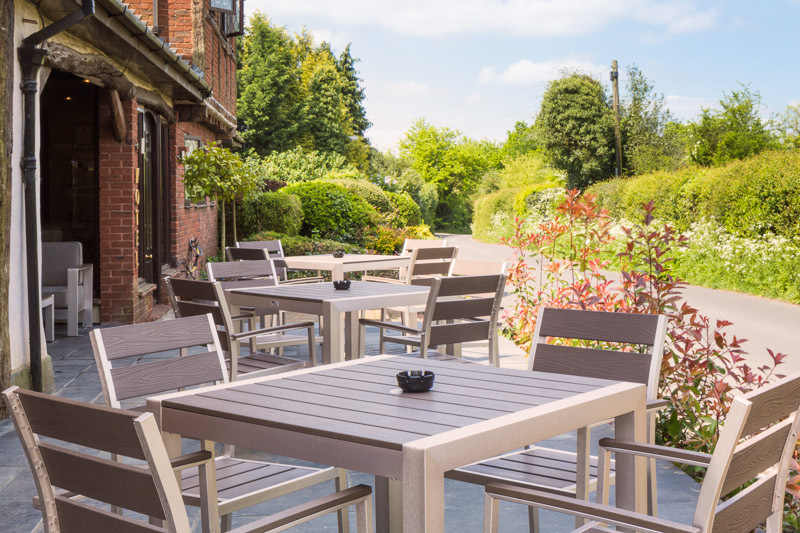 The Chequers Inn is tucked away in the Chiltern Hills above the Thames Valley. This lovely part of Buckinghamshire has lots of interesting historic houses, museums, caves and beautiful walks along the River Thames through Marlow and Cookham. Windsor, with its Royal Castle is a short drive away, and we’re only 30 miles from Central London – easily accessible via short train ride to Beaconsfield. At The Chequers Inn we are a family. We believe our hardworking and friendly team is key to the success of our hotel and restaurant. We are dedicated to great service and our staff know that working at The Chequers Inn, isn’t just a job, it’s a career.